Ma Dong-seok’s carved quite a niche for himself in the South Korean film industry. Some people were understandably concerned that he was getting type-cast in certain type of roles, with most of his roles from last year feeling like an extension of his part in 2017’s “The Outlaws“. While that is not necessarily a bad thing (One can never have too much of Don Lee showing the bad guys what’s what), the trailer for his first film of 2019, “The Gangster, The Cop, The Devil” looks refreshingly different while still being quintessentially Ma Dong-seok. 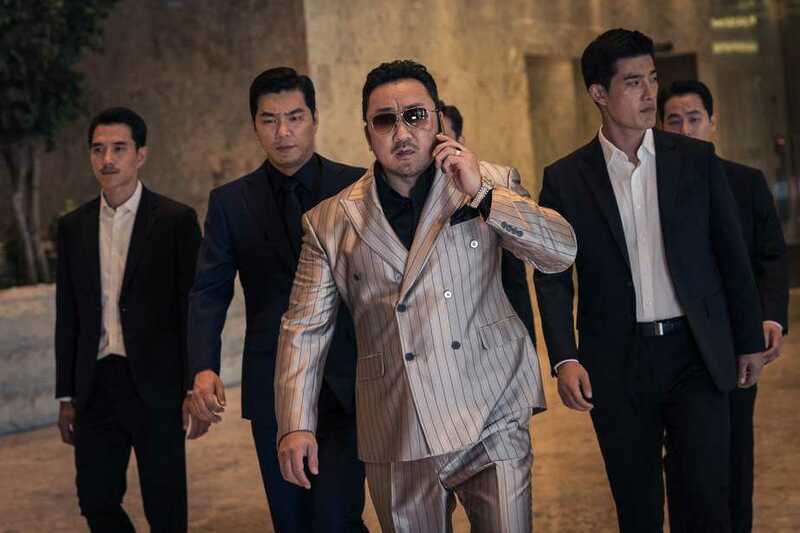 Jang Dong-soo is a gang boss in Cheonan. He becomes the target of serial killer Kang Kyung-ho. Jang Dong-Soo survives and he is the only person to have survived from an attack by Kang Kyung-ho. Detective Jung Tae-seok hates organized crime members, but he works with Jang Dong-soo to catch serial killer Kang Kyung-Ho. Apart from top-bill Ma Dong-seok, director Lee Won-tae has also recruited Kim Moo-yeol (“Forgotten”, “A Muse”) and Kim Sung-gyu (“The Outlaws”, Netflix drama “Kingdom”) as the Cop Jung Tae-seol and the Devil Kang Kyung-ho respectively. The film will be releasing in South Korean cinemas in May, 2019.